RCA YouTube Channel 5 Million Views Celebration! Crushing Magnus Carlsen in Vladimir Kramnik’s Style! Pieces Exchanges are more Crucial than You Think! 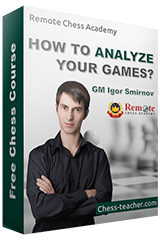 How to Exchange Chess Pieces Effectively?